Flight from Indore in Morning. Reach Delhi. Transfer to Manali Bus boarding point self. Reach Delhi at 6:00 am. Day free at Delhi & Bus from Manali – Volvo in evening. Overnight in bus. Reach Manali at 10:00 am. Complete day rest at Manali & get ready for the adventurous tour to Leh. Night in Manali. 26th Aug Manali – Sarchu – approx 240 Kms. Pickup from Manali hotel at 4:00 am by Taxi. Complete day travel through Rohtang pass & Keylong. Night Sarchu. 27th Aug Sarchu – Leh – approx 250 Kms. 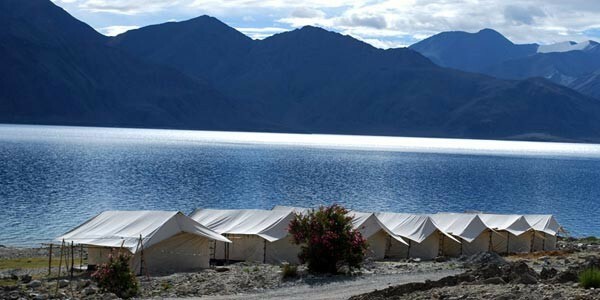 Complete day travel in barren lands Night in Leh. Morning After Breakfast Leave For Leh. Return Back To Leh. Overnight Stay at the Hotel. After Breakfast Drive Up Along The Scenic Indus Valley. Enroute Stop Over To Visit The Famous Shey Palace & Monastery, Thiksey Monastery. Evening Walk With Slow Pace In Leh Bazaar. Shinti Stupa and Leh Palace sightseeing. Overnight Stay at the Hotel.